Although Neha Kakkar made a lowkey debut in 2009 with Hindi movie Blue theme song, over the years, she has gradually made her way into every music lover’s heart. Although Neha Kakkar made a lowkey debut in 2009 with Hindi movie Blue theme song, over the years, she has gradually made her way into every music lover’s heart. Whether it’s an private house party or a Bollywood night at a club, Neha’s songs are undoubtedly a part of the playlist. She has a voice that can seamlessly shift between melodies like Nain Na Jodeen (Badhaai Ho) and dance numbers including the latest remix of Aankh Maarey (Simmba). This weekend, the Mumbai-based artiste makes her way to the city for a concert. “I was in Hyderabad last time for a gig at Ramoji Film City and I absolutely loved the energy. So, I’m going to perform all my party numbers, along with a few love songs,” says the 30-year-old. Neha’s quite the energetic performer on stage as well. Although she loves recording, she feels that a live concert is a bigger challenge. “Performing in front of a live audience takes much more effort and energy. One must know how to gauge them in the first five minutes — that is the challenge,” she says. Neha had her first brush with fame during her Indian Idol stint in 2006. Although she didn’t make it to the finals, she captured the attention of music enthusiasts across the country with her soulful covers. Last year, she returned to the same music reality show as a judge – life has come a full circle for Neha. “I would define my journey as nothing short of a roller coaster ride. It feels great to be where I am today, it feels like I’m living a dream,” shares the Kala Chashma singer. She has several chartbusters to her credit including London Thumakda (Queen) and Manali Trance (The Shaukeens). Sister of Sonu Kakkar, known for Aali re, sali re from No One Killed Jessica, Neha admits that she has always looked up to her sister. “My biggest inspirations are undoubtedly my sister Sonu and brother Tony Kakkar. I have always looked up to her,” she adds. 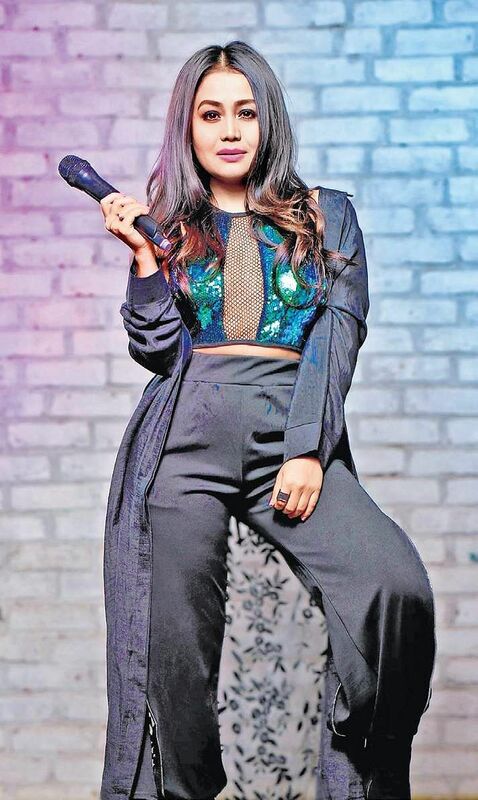 Neha has had a great start to 2019 with two hits – Fikar from Do Dooni Panj and Luka Chuppi’s Coca Cola Tu. She also got American music producer Marshmello grooving to Coca Cola Tu in a fun video! “It was a lot of fun! When he visited India, we met and he wanted to dance with me, so I immediately agreed,” Neha says. The singer also hit a whooping 20 million followers (she fondly calls them Nehearts) on Instagram just a week ago, making her one of the most followed Indian musicians. “God has been kind and of course, thanks to my Nehearts for loving me unconditionally. I stay real on social media, which is why they connect with me. So the love and respect is mutual,” she shares. Rs 799. March 16, 7 pm.